The Italian shooter won the 50m Rifle 3-position women final with more than 5 points of advantage on her followers, in spite of the weather conditions and of the stress. Italy's Petra Zublasing, 24, won the 50m Rifle 3 Positions Women final at the 2013 ISSF World Cup in all events held in Granada, Spain, from 4 to the 11 of July. The Italian shooter won the new 3-position final with 459.1 points, finishing more than 5 points ahead of India's Lajja Gauswami (second with 454.0 points). Norway's 19-year old first-time finalist Malin Westerheim pocketed the Bronze behind them with 443.9 points. Zublasing led the match since the first shots, gaining a few tenths of advantage on her followers in kneeling series of the final. But it was the standing position which really made the difference. 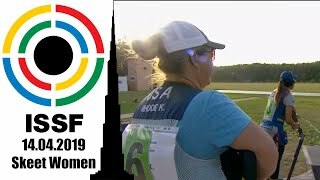 The 24-year old shooter form Appiano was the only finalist who didn't shot an 8, building up a strong lead to win her first world cup Gold medal ever in this event. The Italian shooter left behind her the qualifications leader, China's Yi Siling, who ended up in fourth place with 433.6 points, just 0.3 points far from the medals. “I feel a little bit sad for her, I think she deserved a spot on the podium, as she had been the best in the qualifications.” Zublasing said. The Olympic Bronze medallist of London 2012, Adela Sykorova of Czech Republic, also missed the podium, ending up in fifth place with 422.7 points. Denmark's Stine Nielsen closed her second final in sixth place with 412.6 points, just two days after finishing in fifth at the 10m Air Rifle Women medal match. 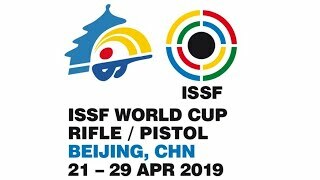 At the same time, Singapore's first-time finalist Ser Xiang Wei Jasmine and Poland's Agnieszka Nagay were the first two shooters to be eliminated at the beginning of the standing position, and placed in seventh and eighth with 398.8 and 396.0 points, respectively. And she needs indeed some time-off, before accomplishing her next dream. “Nicco and I are moving into our new house!” Petra said, speaking about her life with the 2012 Olympic Champion Nicco Campriani of Italy. 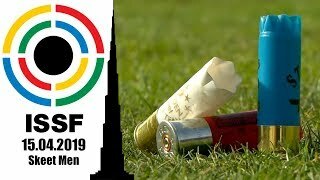 “We are moving in at the end of August, and there're so many things we need to do before that's happening!” No pressure though, the ISSF World Cup Final she qualified for today is only taking place in November.